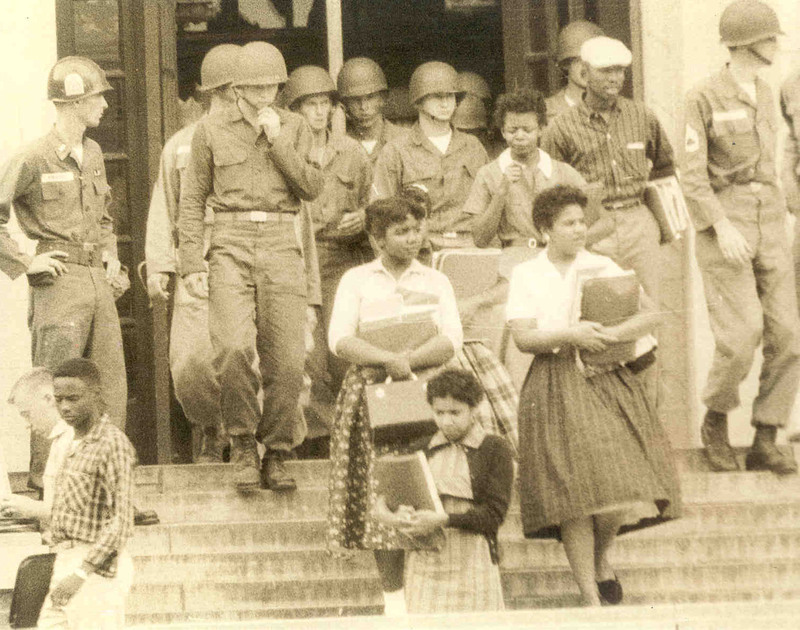 Melba Pattillo Beals and other members of Little Rock Nine leave Central High escorted by Soldiers in 1957. Melba Pattillo Beals, one of the students to volunteer to transfer to Central High School, was born into a family where education was extremely important. Her mother Lois, was one of the first black graduates of the University of Arkansas in 1954, and went on to earn a doctorate degree. After the integration of Central High School, Beals earned a bachelor of arts degree and a masters degree in journalism from San Francisco State University and Columbia University Graduate School of Journalism in New York respectively. She has been a reporter, communications consultant, and motivational speaker. 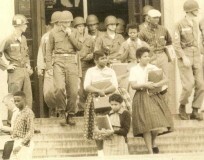 Beals is also an author and became the first of the Little Rock Nine to write a book based on her experiences in 1957. Her memoir, Warriors Don’t Cry was published in 1994 and was named the American Library Association (ALA) Notable Book, and won the Robert F. Kennedy Book Award the following year.